In our everyday life, we try our best to focus on issues that are of key importance for us. It is hard to neglect such walks of life as career, education, or personal development… but such an approach may be sometimes connected with neglecting more basic, mundane tasks. After a week or two of studying or working remarkably hard, you may notice a pile of domestic rubbish slowly yet surely taking over your kitchen, hall, or dining room. What should be done in such a case? The simplest solution is to forget about your duties for a while and start removing all the unwanted garbage, but sometimes you may face some time-related constraints due to which it will prove to be impossible. Then, do not hesitate and give the representatives of the A&J Rubbish Clearance a call! We will be more than honored to help you get rid of problematic domestic garbage that surely have been making it troublesome for you to completely focus on such important tasks as school material preparation, report creation, or tax calculation. Despite of what some may say, managing a company, regardless of whether it is a small house-based firm or an international company generating millions of pounds monthly in turnover, is not an easy task. There are numerous aspects that have to be taken into account, addressed, and supervised in order to ensure that all the processes are realized swiftly, punctually, as well as with utmost care. It goes without saying that it is almost impossible to think either creatively or analytically when you are surrounded by commercial rubbish in the form of tons of paper files, boxes left after hardware setup, and all the other unwanted and unnecessary items that not only limit your space, take away your freedom and comfort of thinking, but also make you feel that you work in a messy environment. Do not worry, though – you can easily get rid of this problem without even breaking a sweat. How to do that? The answer is even simpler than you may think it is. Instead of spending countless hours tidying your office or production area, just ask professionals to do so for you! YOU NEED SKIP HIRE NOW? House or flat construction or redecoration is always connected with virtually countless piles of bricks, wooden panels, used-up equipment, and all builders rubbish. Of course, they are of secondary importance while the project is being realized, as the top priority is given to the creation of a living space of one’s dreams. However, when the contracted construction experts finally leave our premises, we can notice that they have failed to keep at least a minimum level of cleanliness and that we are now required to tidy the mess they have left. We are more than aware of the fact that not all individuals are capable of removing all the unwanted items of furniture, remains of window and door frames, or debris from their habitable space. They do not know what to do, so they frequently ask their friends, neighbors, or relatives for help. Such a solution is of course cheap and undemanding, but most importantly – it lacks professional approach. If you are determined to clean your office or habitable space after redecoration, reconstruction, or any kind of extension, do not look any further and simply opt for the best solution available on the market at the moment… start your fruitful cooperation. Some companies tend to limit themselves to most basic types of rubbish, especially to those that are very easy to dispose of, so no real effort is needed to provide the ordered service to the customer. We – to some extent – understand that, but our experts have decided to go the opposite way and put both new and returning clients in the spotlights. They are our priority and they suggest us how we should operate in order to increase the level of satisfaction of individuals interested in our offer, as well as to reach new demographics and niches. Some time ago, we have been suggested to expand our portfolio a bit by adding garden rubbish removal to it. At first, we have been a bit reluctant, as we have been of the opinion that there has been not much demand for it on the market. Rubbish is always the most necessary thing to be considered since the neatness factor at all the places be it your living place or the workplace needs to be very pleasant one. However, at some point the essential factor doesn`t amount being the removal of rubbish but locating the right kind of services for that. These days one may easily come across numerous services providers for this task but not all of them are competent and reliable enough to be considered and there are a few factors for which one must look before hiring the More ? Waste removal is a task that is much more difficult than some may think. It requires not only the utilization of professional devices and machinery, but also the factual engagement of a team of experts in the field. Rubbish removal London is no exception from the rule, as due to the fact that the city is enormously big, a company consisting of experienced individuals has to be employed to provide the service in both skillful and efficient manner. Our company specializes in waste clearance. We are in possession of state-of-the-art vehicles, thanks to which it is not a slightest problem to remove domestic, commercial, and building leftovers. What is more, our team consists in true professional in the waste disposal oriented branch of industry. Waste clearance London is frequently connected with enormous prices that tend to skyrocket during the winter season, when the access to certain areas of the city is highly limited. However, rubbish clearance can also be performed in a reasonable price. 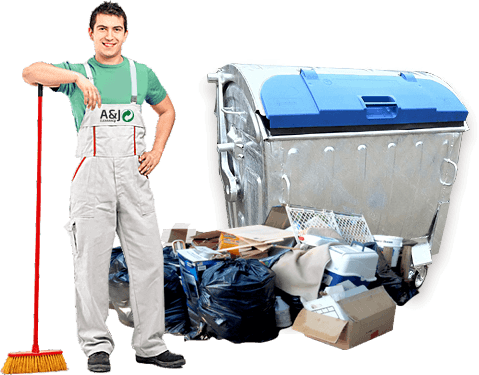 In order to save some money and take advantage of the best rubbish removal company in the industry, you just need to contact our representatives and order a waste clearance order. Waste clearance will then no longer be a pressing issue for you, as you will not need to look for any other firm specializing in such services. Call us and see for yourself how quickly, efficiently, and professionally rubbish removal can be executed. We would also like to add that if you have any questions concerning rubbish removal London or you do not know if a given type of waste can be transported by our employees to a designated location, do not hesitate to give us a call as well! Waste clearance London has never been so easy and straightforward! We would like to add that we are highly experienced when it comes to rubbish collection. You do not need to worry that you entrust the performance of such a relevant service to some beginners in the field. 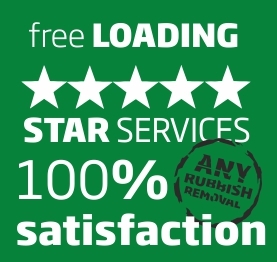 We think that we can safely say that rubbish removal is the activity that has helped us gain so many satisfied customers, who are more than willing to take advantage of our services again and again. We would be more than satisfied if we were granted the opportunity to work for you! Please familiarize with contact data provided on the website and communicate with us to agree upon the details of our cooperation!